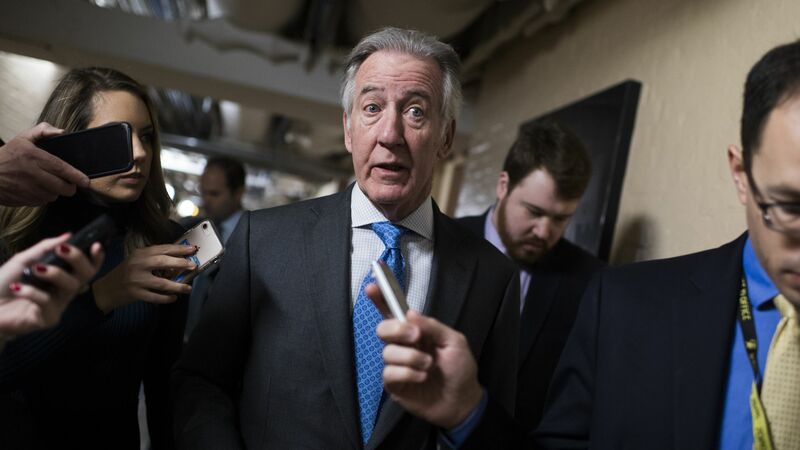 House Ways and Means Committee chairman Richard Neal (D-Mass.) formally asked the IRS on Wednesday to turn over 6 years of President Donald Trump's tax returns. The big picture: This request could potentially trigger a court battle, per the New York Times. The long-awaited move comes as House Democratic committee leaders have issued subpoenas as part of a series of investigations into the president and his inner circle. Details: Neal cited a little-known IRS code that gives only the chairs of the House Ways and Means Committee and the Senate Finance Committee the power to request tax documents from anyone, per the Times. Neal has also requested the tax returns of Trump’s trust and seven business entities, including his golf club in Bedminster, New Jersey. The IRS has until April 10 to comply with the request. If Neal gets the information, he will privately review it with his committee staff. In response to the request, Trump told reporters: "Is that all? We are under audit, despite what people said, and working that out. I'm always under audit, it seems, but I've been under audit for many years because the numbers are big, and I guess when you have a name, you're audited. But until such time as I'm not under audit, I would not be inclined to do it."